Product prices and availability are accurate as of 2019-04-21 23:50:00 EDT and are subject to change. Any price and availability information displayed on http://www.amazon.com/ at the time of purchase will apply to the purchase of this product. This acetylene regulator is manufactured from solid brass and includes easy to read gauges, sintered inlet filters, replaceable 3/8-24 "A" hose fitting. Connects to "MC" acetylene cylinders. 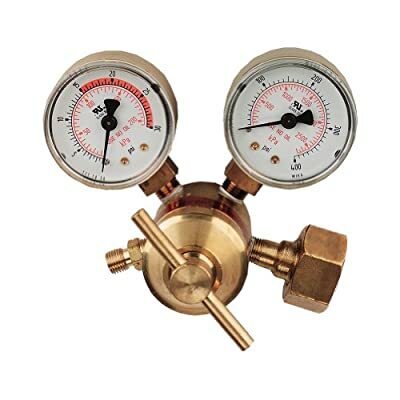 Goss regulators give the constant and accurate gas flow needed by professionals. Goss Inc. has been manufacturing and distributing quality products in the USA for over 70 years.